In astrology, there are three signs of fire element. They are Aries, Leo and Sagittarius. There is high amount of energy and fire. Sun sign is very important for this sign. This signs are considered as courage, leadership and anger. Aries: Mars is the owner of this sign. It is beloved sign of Sun. This sign has energy, courage, newness and fidget qualities. Unstable mind is biggest weakness of this sign. Wear pearl consulting an astrologer. Also, they must worship lord Sun. Leo: Sun is the owner of this sign. 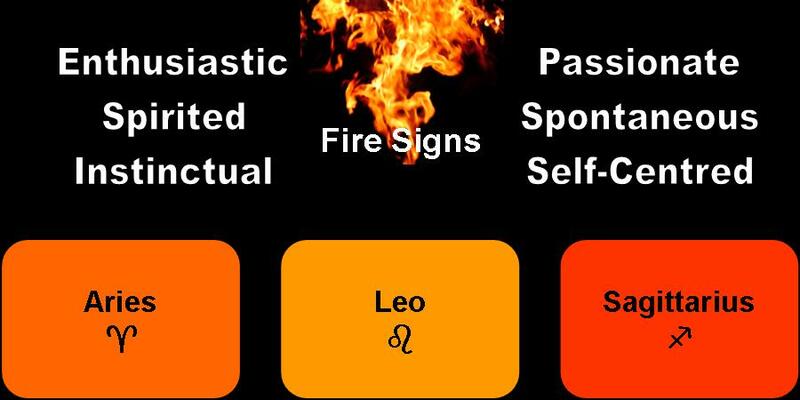 This sign is the prime sign of fire element. This sign is considered as leadership, courage, struggle and politics. This sign of people often lead the society. Overconfidence is the biggest weakness of this sign. Wear coral consulting an astrologer. Also, chant Gayatri psalm. Sagittarius: Jupiter is the owner of this sign. Sun makes a person lucky. This sign has courage, intelligence, calculation and leadership quality. This sign of people often found in army or police. However, their speech is uncontrollable. It is their biggest weakness. Wear ruby consulting an astrologer. Also, worship lord Sun. Good Luck: Cover peridot in green color thread in throat. This is beneficial to avoid stutter. Why Wife's & Daughters Go to Mayka in Savan Month After Marriage?